﻿ Best Price on Holiday Inn Panama Canal in Panama City + Reviews! Holiday Inn Panama Canal offers its guests an outdoor pool set on a landscaped courtyard. 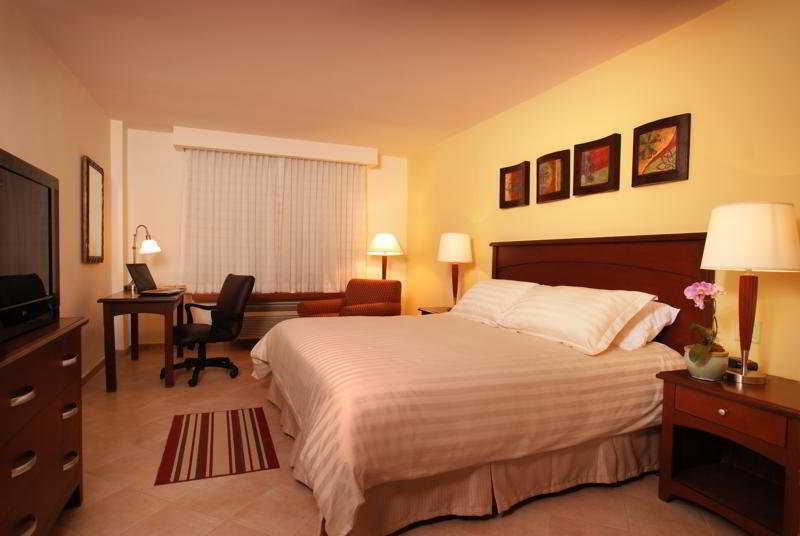 The hotel also offers wired internet access for free and has an equipped fitness center. The fresh-decorated rooms and suites are air conditioned and offer ironing appliances, working desks and a coffee maker. Cable TV, a mini bar and a hairdryer are also in-room amenities. The bathroom is private and may come with a shower or a bath. Some rooms are adapted for the disabled easy access. The on-site restaurant has breakfast, lunch and dinner services and overlooks the Panama Channel. The Brookends Lobby Bar offer the guests a variety of drinks. Located 20 minutes’ drive from Panama’s Old Town, Holiday Inn Panama Canal is close to many touristic attractions, like Coastway Amador Touristic Area, which is 1.2 mi from the hotel, and the art craft market that is 0.6 mi away. The Marcos A. Gelabert International Airport is reachable in 10 minutes by car.